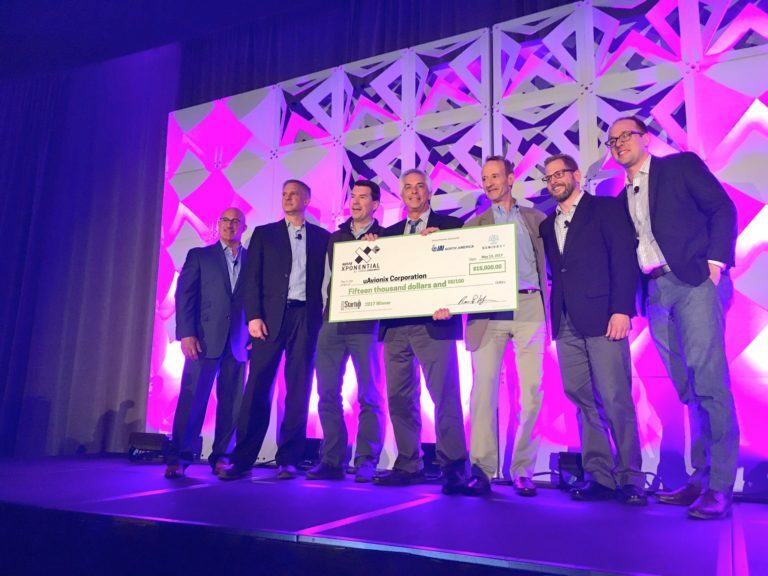 This year, Xponential featured sixty-five startup companies from the exploding sUAS industry. Each applicant presented their products and services for consideration. A diverse panel of industry judges then selected sixteen Semi-Finalists, who competed in Tuesday’s knockout round at Xponential. After the Tuesday presentations, the judges selected three companies to continue as Finalists. Inertial Sense LLC – This Utah-based company designs and sells the world’s smallest GPS/INS navigation system. Used for drones, payloads and other unmanned systems, their products track motion in all types of environments. uAvionix Corporation – An unmanned systems device company that builds critical avionics components required to fly unmanned aircraft safely and legally. Their products, ranging from 5 to 100 grams, provide UAS tracking, surveillance and navigation solutions. uAvionix also provides solutions to manned aviation and airport operations. WiBotic, Inc. – A wireless power solutions company promoting fast and automated charging for robotic systems. Wibotic maximizes the battery life of your aerial, mobile and aquatic systems, and offers fleet management solutions to deal with the challenging task of battery maintenance. Interial Sense, uAvionix, and WiBotic, Inc made very compelling presentations for their offerings. After the final round of presentations the judges began difficult decision of selecting a winner. The ballroom was packed and the suspense was palpable as everyone awaited the decision. After a significant deliberation, the judges announced they had selected uAvionix as the winner. uAvionix will receive a $15,000 cash prize and one on one consultation time with the judges.